Oh, this will be a self-indulgent post, so you’ve all been forewarned. 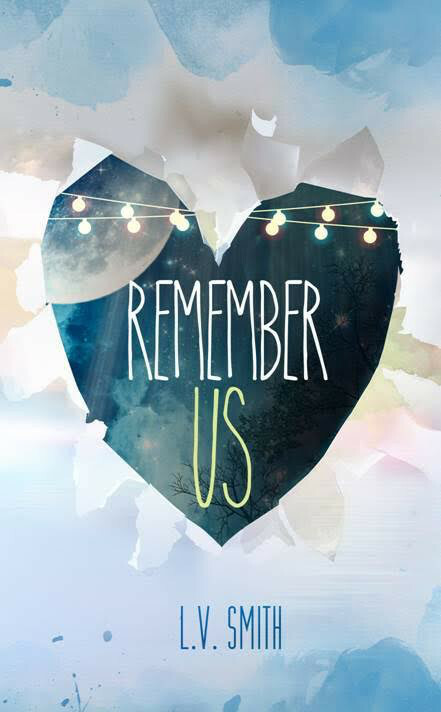 I released Remember Us a year ago today. Not my first completed book, but certainly my first published one. A story written from beginning to end, revised, edited and then put out into the world for friends and family and strangers to discover. I have a lot of mixed feelings about the entire process. On one hand, I am proud of that book and the work that went into. It is certainly one of my proudest accomplishments, and the young girl inside me who always dreamed of being a published writer still shrieks with glee that a book with my name on it can be purchased and read. But it has also been an eye-opening exercise in how difficult it is to make yourself vulnerable to critique, how hard it can be to promote your work, and the struggle of being a small indie author. I’ve learned in this year that the risk isn’t the writing. The risk, for me, wasn’t even in the publishing. The risk was one I didn’t take, and that was standing up and saying, I think this is good, you should read it. I was quiet and nervous and awkward about the whole thing. I didn’t seek out bloggers or PR or say much about the book at all because I was so damn scared. What if these people end my writing career before it’s even begun? And so my first book release was very small. And in some ways, that’s okay. But the reason it stopped being okay with me was because I realized I was still hiding, and I was giving all these nameless, faceless people around an inordinate amount of power over my life, and my dreams. How could I begin to think that someone could steal my writing, my art, from me? Why was I paralyzed at the idea of someone not liking my book and leaving a bad review? Art, writing, it’s all subjective. I certainly don’t like every book I read (although I will say the nastiness I see in some reviews is completely unnecessary, but you know, THE INTERNET). I took this accomplishment of mine, this story, and I hid it. I told myself that I’d taken the risk, put it out there, done the hard thing. But I don’t think I ever did. I think I found a way to make it look like I did, without ever actually doing it. Art is personal. While Remember Us is fiction, it was born from a very real place. It holds truth in it, and the characters and story are real and alive and most definitely personal. And once art is made public, I can’t always trust people to handle with care. And I guess that scared me. Maybe because I was afraid they would be right. That it really wasn’t very good. Whew, the mind of a writer. Exhausting. Here’s what I’ve learned, and am still learning—readers find the books they need. Books find their readers. Stories are powerful, a way to unlock something in us that very little else can. It’s no wonder we feel so strongly about our favourite books. I can’t go back and change the launch of my first novel. And that’s okay. It was really beautiful in its own way, and I received so many lovely personal messages from people who connected with my characters, who enjoyed the story, who said they couldn’t put it down. It was a brave thing, and it took a lot for me to even tell my friends and family that I’d written a book (my writing has always been intensely personal, so that was scary enough). While I plan to do things differently with Book Two, I can’t say I have regrets about Remember Us. Because it’s still there, finding its readers. It’s still my very first published novel. But as I work through Book Two and wrestle with the ways that it has been different, I can sense that this experience will be about putting myself out there a little more. Risking more for my art, for my readers, so that this story lands in the right places too. I want to make a bigger splash with this book, even if it feels really really scary. I wrote a book! And it’s been in the world for one whole year! And I will write more books, and sometimes, I’m so ridiculously thankful that I stumbled back into this life that I can’t quite believe it. PS. If you’re interested in reading my book, there’s a link on the homepage of this site. Kylie Bartlett’s marriage is crumbling. There are fights and misunderstandings and words that no one can ever take back. Marriage can be hard, but she never expected this. And then, he’s there. That boy. The one she loved first, a lifetime ago, the one who left—the one who she thought would be her one great heartbreak. He’s back. And he’s not going anywhere. Kylie never thought she’d have to make this choice again. And now, with her marriage in shambles at her feet, she wonders if this is the way it was always meant to be. Or should she leave the past where it belongs? Remember Us is a story of love and marriage, of finding yourself, and of how things don’t always turn out the way you plan when you’re seventeen. This time last year, I was basically a week out from the launch of my first book, Remember Us. I believe I had even started the outlining and planning for what would eventually become my current work in progress. And at that time, my plan was to be publishing that book within the next year. I finished the first draft with lots of time to be able to do that, and I had my cover artist booked. But, it didn’t feel right. There was a tug in my gut about the timing, and there was something not quite resonating with me about it. I pushed through, started work on my revisions, made a plan for editing. Shook it off. But the nagging, as any good intuition, wouldn’t go away. And one of the things I’ve really learned in the last year or so is how important it is to listen to that small voice. Because if I don’t listen, then eventually the voice stops speaking…or I become numb to it, however you want to think of it. Everything came to a screeching halt. I cancelled my cover artist, just in time, because he was just about to start work. I realized that I wanted to do some BIG work on the novel, to go in-depth on the revisions. I felt like I could make the book better. It was fine, but I was feeling like it could be great, and if that was the case, then I needed to do that. Oh, the life of a creative. I am learning that there’s no one way to do this. I’m learning that it’s okay to veer off course, to question, to wonder. I’m learning that just because something worked before doesn’t it mean it will work now. That I can change my mind, change my goals, embrace my own routine and methods. I’m re-learning that I need to listen to my intuition, to slow when it tells me, not to force things. I don’t when this book’s time will be…I’m still aiming for 2016, but I know enough now that if I publish it before it’s ready, it won’t find the right readers. It won’t be the story it has to be. And that’s more important than when it’s published. Sooner isn’t better. When it’s ready is better. Remind me of this next summer when I’m trying to launch a book in the fall—summer is just not my creative jam.